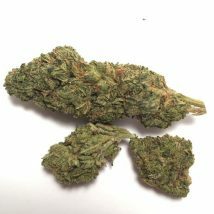 If you are looking for a happy head buzz that’s sure to ease your worries, Alpha Blue is the strain for you. 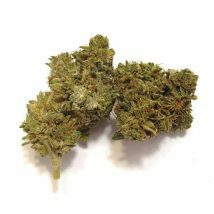 Known to help with depression and anxiety, this strains uplifting effects are accompanied by a relaxing calm that spreads throughout the body. 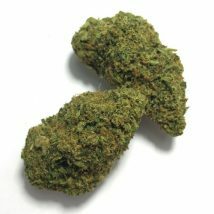 A sativa dominant strain, Alpha Blue has a sweet and earthy flavor that’s sure to satisfy.